In 1951 the government in the Soviet Union began producing 'O' gauge electric train sets for 3-rail operation. These train sets were not intended to be sold, at least not initially. The first Stalin-era sets were used as gifts to Communist party members, high ranking military officers and foreign dignitaries. They were also used as rewards to adolescent boys who were members of the Young Pioneers youth group that was the communist equivalent of the Boy Scouts. The set was called the Moscow Pioneerskaya Railway (Pioneer Railway). These sets contained a die-cast diesel-type locomotive, two tin-plate passenger cars, two freight cars (a box car and a flat car), three operating street lights, three operating signals, a large lighted passenger station, a bridge, three operating accessories including an operating gateman, an operating flagman and an operating gate crossing, plus various other items including a transformer, track, switch tracks and 3 wiring harnesses, required to operate the trains. All of these set components came packaged in a large wooden crate. 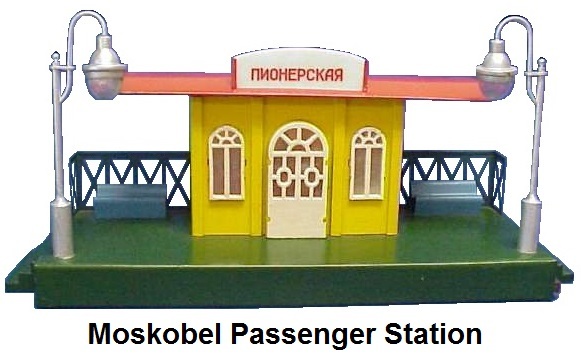 Many of the set components were clearly recognizable as copies of items produced by other model train manufacturers of that era, and other pieces appeared to reflect unique designs created by the Soviets. The engine followed Soviet and Eastern Bloc design. These train sets are very scarce, especially in high quality. Their existence was initially known to very few people both inside and outside of the Soviet Union. Today they are referred to as the Moskobel trains because they were produced at the Moskobel (Moscow Cable Company) factory. The trains were made under the auspices of the Ministry of Electrotechnical Industries. The initials MEP, which are Cyrillic for this ministry, were cast into the locomotive body along with those of the then leader of the USSR, Joseph Stalin, and the number 51. Over the years some of these Soviet trains have surfaced in flea markets and street fairs in the former Eastern Bloc countries including Czechoslovakia (Czech Republic), Hungary, Poland and East Germany. It is believed the appearance has probably been a result of former USSR military personnel having been stationed in and then relocating to these countries afterwards. Since travel to the former Soviet Union has been made easier with the fall of the Iron Curtain some trains have been found in the larger cities in Russia, including Moscow. Some individuals believe that the current Russian government now regards these trains as national treasures and this has made it more difficult to get them out of the country. Stories have been told about aggressive customs officials seizing these trains and either denying their export or requiring a significant sum of money in the form of bribes to allow the trains to be removed. The Internet has also been a catalyst for surfacing these train sets as individuals living in the former Soviet Union have sought to capitalize on the growing popularity of these collectibles. The Soviet trains were made for 19 years and production ceased in 1969. During that time, many variations were created because of the various colors that were used to paint the individual pieces and because of the markings used to decorate the items. However, there were very few design changes and essentially there really was only the one Moscow Pioneerskaya Railway set made in two decades and it only came in a single configuration complete with everything listed above. There were no choices, no add-ons and no upgrades available. The first sets made during the 1950's were hand crafted and hand finished. Some were specially painted and detailed to reflect the position, occasion, or person who would receive it. Very few of these sets were produced. 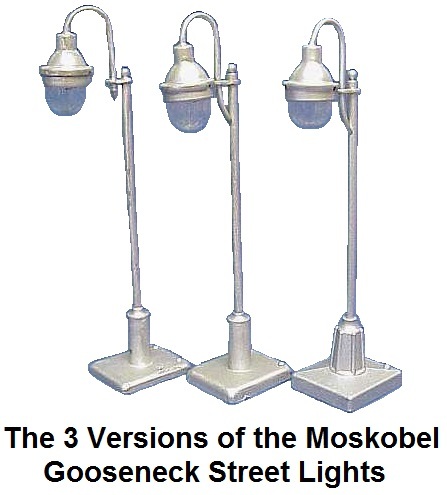 It wasn't until 1956 that the production was escalated and the Moskobel manufacturing facility began to be utilized. The locomotive still had Joseph Stalin's initials, the letters MEP and the number 51 painted on the cab sides. All of the sets produced in the 1950's are referred to today as the 'Stalin-era' made trains. The sets produced later on in the 1960's included a modified engine without Stalin's initials, the MEP designation or the number 51 on the cab. Instead a raised blank plate was substituted on the cab sides, and these sets are referred to as the 'Khrushchev-era' sets. A locomotive was included with every train set produced by the Soviet Union in the 1950's and 1960's. Both the Khrushchev-era engine and the Stalin-era locomotive were the diesel-type with a 4-4-4 wheel arrangement. The European designation for this locomotive is 2-B-2. The first Stalin engine versions were painted green and adorned with plastic decorations on the sides, such as the Soviet emblem. Then several different shades of blue were made over time. Only the four center wheels of the 4-4-4 diesel were driven by the electric motor. The AC motor was very similar to ones used by Lionel and Chicago American Flyer in their pre-war 'O' gauge trains. The engine had a two-ended cab design. The cast metal body was formed in two separate sections that were held together by two large visible screws. The two sides were joined together prior to the paint being applied therefore the screws are not removable without chipping the paint. The symmetrical, die-cast power unit measured 14¾ inches long from coupler to coupler, 3 inches wide and 3¾ inches high. It weighed 6 pounds. The engine is adorned with a 5-point star and a light on each end. It is equipped with a manual reversing sliding switch located underneath the cab, inside the center section on one side of the power truck. The direction of the locomotive determined which light would illuminate. The loco featured European-style bumpers on the front and back and grab rails around each of the four depressed door castings (2 on each side). Additional decoration included the Soviet emblem cast into the sides with CCCP, Cyrillic for USSR, incorporated into the logo and simulated raised side ventilators. A quarter-inch red stripe at the bottom of the cab surrounded the entire shell. A clear plastic window insert provided a nice finished look to the overall appearance of the cab. The chassis had sheet-metal truck sides with black or brown journals. The spoked wheels were painted red and some locos came with the side rims painted white. The basic design of the Soviet Stalin-era 4-4-4 diesel engine first produced in 1951 remained unchanged throughout its history. There was, however, a government-mandated cosmetic change made to the cab sometime in the early 1960's, reflecting the politics of the Soviet Union during that time. That edict resulted in the creation of the Khrushchev-era locomotive. The Stalin-era engine came in various colors including at least two different shades of green and many shades of blue ranging from a dark royal blue to a grayish metallic blue. In addition, since all of the engines were hand-painted, many variations were created depending upon how the painter decided to trim the cab. One engine has surfaced with the doors and vents outlined in white, while another engine has the ladders below the doors detailed in red. Some of the colors and trim work may indicate that the engine could have been part of a special set created for some high-ranking party member or a foreign dignitary. Exact production numbers are unavailable, but evidence suggests that a little over 5,000 Stalin-era sets were produced and therefore, at least 5,000 engines were made. Since most of the Stalin-era engines came with a serial number stamped on the inside corner of one of the pilots, it may be possible someday to be able to prove the validity of that estimate. Of the engines known to have been examined to-date, none have yielded a number higher than 5076. Although the Stalin-era engine continued to be shown in the instruction manuals as late as August 1964, it is believed that production of this item ceased somewhat earlier and that it was replaced by the Khrushchev-era engines. The Khrushchev-era engine represented a product of a changing cultural and political environment in the USSR during the early 1960's. Consistent with Khrushchev's effort to defame his predecessor on every level, the Soviet locomotive was stripped of its connection to Stalin. On the Khrushchev era locos the Cyrillic initials for the MEP were also replaced with a diamond-shaped logo on a rectangular plate. Presumably this was done quickly by altering the original molds used to make the Stalin-era engines as it would appear that little thought was given to changing the locomotive significantly or to creating a brand new design. Blue is the most common color for the Khrushchev-era engines. However a rare brown one has surfaced and there may be other colors as well. It is not known if these were repainted by hobbyists or whether they came that way. In contrast to the hand-painted Stalin-era engines, the Khrushchev-era engines were spray painted, evidence of mass-production methods being implemented. This manufacturing change may have been the result of the Soviets' attempt to reduce costs as they began to sell the train sets for profit. Nickel-plated bumpers gradually replaced the earlier chemically-blackened ones. Unfortunately the Soviets discontinued the practice of stamping a serial number inside the engine's pilot as was done for the Stalin-era sets. Instead they attached a small paper tag to the locomotive of every Khrushchev-era set. The tag, which contained the engine's serial number and year of production, was often lost and consequently, it may be impossible to determine how many Khrushchev-era engines were produced. Every Stalin-era and Khrushchev-era train set produced by the Soviet Union included two tin-plate lighted passenger cars. Most of these all-metal coaches came with the sides and roof painted green and with the visible part of the frame painted black. The bottom of the frame was left unpainted. Silver trim around the windows plus three silver pin stripes along each side provided additional color. The Soviet emblem and other identification markings were heat-stamped in gold. The coaches also came with doors that opened and closed located on all four corners. Each of the doors had a T-shaped handle that could be used to latch and secure the door, thus providing play value. A simulated door was located in the middle of each car end. Two plastic, see-through red-lens marker lights inside brass flanges were situated on the top corners of each car end. The windows and doors had frosted plastic inserts. Illumination for the windows, doors and marker lights was provided by a 13.5 volt floor mounted bulb energized by means of slider-type collector assemblies. The passenger coaches also came with nickel bumpers and nickel truck journals plus cast wheels. The car measured 2¾ inches wide by 3¾ inches high and the overall length of the car from coupler to coupler was 12¾ inches. The quarter and year of production were often stamped on the bottom of the car. The coupler design was apparently copied from American Flyer. Again, the basic design of this item also remained unchanged throughout the entire 19-year period of manufacture. Like the locomotive, the early version of the Soviet passenger cars had the initials MEP in Cyrillic for the Ministry of Electrotechnical Industries stamped into the sides of the bodies. This marking was generally located on the lower right on each side. 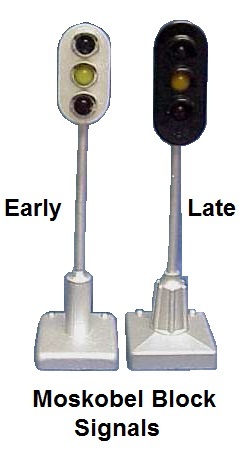 However, a pair of the early version cars has been discovered with the MEP marking located on the lower left on each side. The early version was produced as late as the 4th quarter of 1956 but it is unclear if it was produced after that. Most of the cars are painted either dark pea green, medium green or light yellowish green. However a pair of very rare early blue cars has also surfaced. The blue cars have the same trim and other decorations, including the MEP marking in the lower right. Two minor differences as compared to all of the green cars that have been examined are the door handles on the blue cars are not T-shaped, instead they have a single lever connected at the pivot point and the entire frame including the underside is painted black. The later version of the Soviet passenger cars came without the MEP marking but it is unclear as to when those initials were first omitted from the sides of the car bodies. The later version coaches were produced through 1969 and most of them were painted light green. While the sets included two passenger cars, only one box car and one flat car came in the set. Like the locos and passenger coaches, there are variations in the freight car lettering. The box cars are fitted with die-cast metal wheels with oversized flanges and the couplers that were similar to American Flyer Link and Pin style couplers. The boxcar was an all-metal car with operating sliding doors and functional latches. The sides of the car were decorated with the Soviet emblem and other identification markings were heat-stamped in gold. The car also featured nickel bumpers and nickel truck journals. The box car had two window-like cutouts on each side. The car measured 3 inches wide by 3 5/8 inches high and the overall length coupler to coupler was 10¾ inches. Just like the passenger cars, the quarter and year of production were often stamped on the bottom of the car. Again, this item's basic design remained unchanged throughout the entire 19-year production period. Variations resulted from different markings and paint combinations. Just like the passenger cars, the early version of the boxcars had the initials MEP stamped into the sides of the bodies. This marking was generally located on the lower right on each side. However one of the early version box cars has been discovered with the MEP marking located on the lower left on each side. The early version was produced as late as the 3rd quarter of 1957 but it is unclear if it was produced after that. The box car bodies came in various shades of either a common chocolate brown, a scarce burgundy or rarer reddish-brown. The roofs came in several shades of gray with either a glossy finish or a flat finish. The entire frame was painted black. The later version of the Soviet boxcars came without the MEP markings but it is unclear as to when those initials were first omitted from the sides of the car bodies. In addition, one set from 1962 and another set from 1965 contained rolling stock without the MEP markings but with the 'r MOCKBA' (City of Moscow) markings. It is not known if boxcars from other years were decorated that way. The later version boxcars were produced through 1969 and most of them came with chocolate brown sides and glossy, light-gray roofs. In addition, the bottom of the frame was left unpainted on some of the later boxcars. 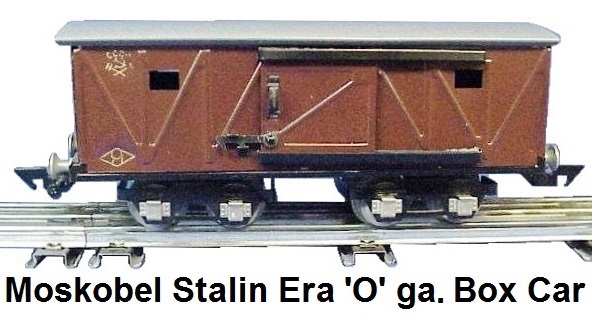 The flatcar included in every Stalin-era and Khrushchev-era train set was an all-metal car with low sides. The body was brown with identification markings heat-stamped in gold. The car also had nickel bumpers and nickel truck journals plus cast wheels. Again the coupler design was apparently copied from American Flyer. The car measured 2¾ inches wide by 2 inches high and the overall length coupler to coupler was 10¾ inches. Like the other cars the quarter and year of production were often stamped on the bottom of the car. This car's basic design also remained unchanged throughout that entire 19-year production period. The early version of the Soviet flatcars also had the initials MEP in Cyrillic stamped on the lower right on each side of the body. While a boxcar has surfaced with that marking on the lower left, it is unknown if any flatcars came that way. The early version was produced as late as the first quarter of 1957 but it is unclear if it was produced after that. Similar paint variations of car bodies painted in either a common dark brown, scarce burgundy or rarer reddish-brown have been noted. The color was either a glossy finish or a flat finish. The entire frame was painted black. The later version of the flatcars also came without the MEP markings but again it is unclear as to when those initials were first omitted from the sides of the car bodies. As noted before, one set from 1965 contained rolling stock without the MEP markings but with the 'r MOCKBA' (City of Moscow) markings. It is not known if flatcars from other years were decorated that way. The later version flatcars were produced through 1969 and most of them came with chocolate brown sides with either a glossy finish or a flat finish. In addition, the bottom of the frame was left unpainted on some of the later flatcars. The very first hand made sets were issued with solid rail track and steel fastening clips. This was discontinued when factory production started and 3-rail tubular 'O' gauge steel track fitted with pins for joining was substituted. The track in the set was numbered with metal tags riveted onto the underside of the ties. They started with the section numbered one and each track section was to connect with the next number in sequence as labeled in order to complete the entire layout. Two manually operated switch tracks were included, and there were 9 straight and 16 curved track pieces to complete a connected double oval 11' x 5' layout. The set came with a detailed guidebook and set of instructions with a track plan that showed the proper placement and set-up of all the included components in order to experience the complete animation of the operating trains and accessories. There were wire harnesses included to clip to the track and these had color coded wires and plugs similar to the type found on M�rklin HO trains. The harnesses were set up so that there was only one proper way that the set could be wired. The track ties had a tabbed channel to accommodate running the wire harness along the side of the track. The Moskobel trains will operate on 'O' gauge track made by other manufacturers, but they cannot navigate curves that are less than 45" radius. All of the Pioneerskaya set contents appeared to be copies of toy trains and accessories made by other manufacturers. Oddly the Russians did not copy new trains, they copied older items. This could be because their technology was better suited to making trains with 20-year-old manufacturing methods. These were toy trains produced in a command economy. The profit motive was not a factor in the design. After 1948 no American company made complete ready to run train sets that included accessories except Marx's low cost train sets and the failed All Aboard train sets made by American Flyer in the 1960's. The accessories included with the Russian train were not available separately. However, there does seem to be a lot more accessories out there than trains. This could be because the trains were thrown out instead of being repaired and the accessories were then used with other trains. Accessory operation was all triggered via track connections. The tinplate station was equipped with a horn inside it and a light. There were also 2 illuminated gooseneck street lamps attached to the platform. The station had punched out arched windows with sheet metal frames in them. They looked like they were designed to hold glass in the frames however there is none. Instead there is plated sheetmetal in the window frames. Since sheetmetal, unlike glass is not transparent there is a mystery as to why there is a light bulb installed inside the station. The internal light was only visible from two tiny ticket window punch-outs that were placed on either side of the station building itself. The station has mostly been found mounted on a green metal base, but some stations with a blue base have been discovered. 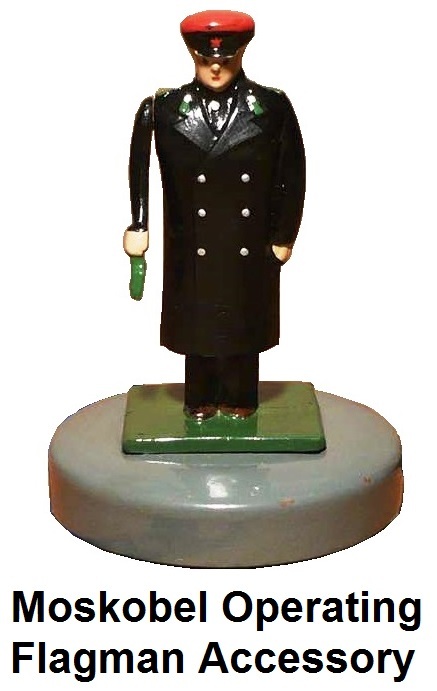 The Gateman was a copy of a Lionel #45 tin-plate gateman introduced in 1935. When the train went past, the man came out of the little house via a swinging door and waved his simulated lantern. The lantern was made of either clear or green plastic and would become illuminated via a reflection from a bulb shining through a hole from underneath the platform when the lantern was above it. The Moskobel version does not have a RR Crossing sign (crossbuck) like Lionel's version. The Flagman accessory is a smaller copy of the Lionel #1045 Flagman introduced in 1938. The Flagman is in action, waving or swinging his arm, when the train passes, or leaves the station. Like the Moskobel Gateman there is no RR Crossing sign. Two different bases were made over the years for the block signals and these also came with two different type heads. The block signals featured red, yellow and green lights. The Soviet signals used clear bulbs behind colored lenses. Signal light changes were triggered by the passing train. The wire harnesses for the block signals had color coded pins to ensure proper attachment between the corresponding connections in the base of the signals and the track. Track connectors consisted of a short piece of metal tubing soldered under the rail in which the pin from the wiring harness inserts. The track pieces with the connections featured isolated rails. Interestingly, the Soviet system incorporated both a center and outside isolated rail. The outer rail was cut in three places to create the three separate blocks for each signal color. When the train traversed these track sections the action of the signals was initiated via the wheels of the train completing the electric circuit. The gooseneck type streetlights featured a glass bowl over the bulb. Over the course of production there were three variations of this street lamp. The operating crossing gate featured arms that normally were open/raised but lowered automatically when the train passed. 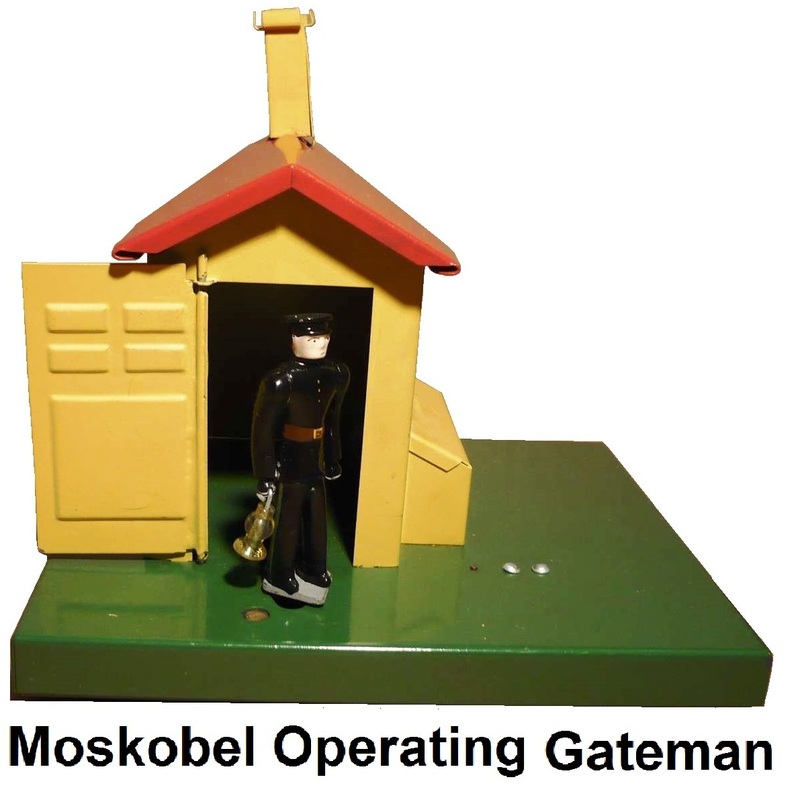 This accessory was a crude copy of a 1936 'O' gauge M�rklin gate crossing. 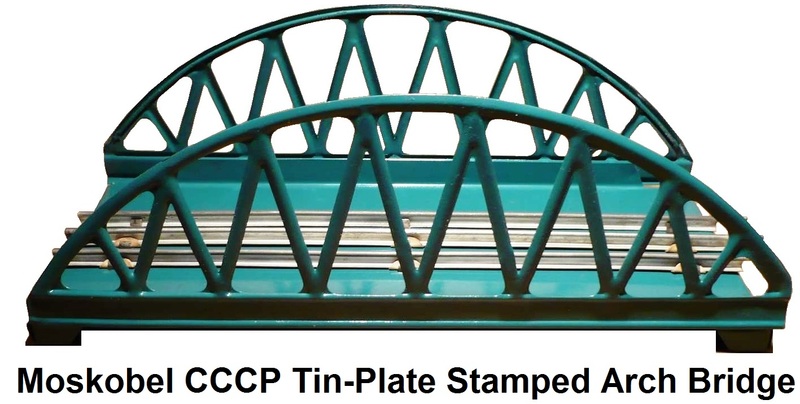 The early 1950's handmade sets featured a metal suspension bridge, while the later factory mass-produced sets came with a stamped sheet steel arch-over bridge with 2 approaches. The majority of arch bridges discovered were painted bright blue, but some were also produced painted with other colors as well as bright red. The first included transformer was rated at 75 watts and ran on 127 volts 50 cycle current. The 127 volt current was a unique power system found only in the Soviet Union at the time. The output was 5 to 13 volts AC for the train and 13 volts for the accessories. The design of the transformer was copied from Jefferson Electric, makers of transformers for American Flyer. The Soviet Union began to convert its power system to the European 220 volt standard in the late 1950's and by the mid to late 1960's a modified transformer replaced the older ones in the sets. The post-World War II Moskobel trains were not the first electric trains to be produced in Russia. There were other electric model train sets produced by government authorization in the Soviet Union over the years. A model railway by the Press factory in Serpukhov was issued from 1937-1941. These trains were copied from M�rklin 'O' gauge trains and are extremely rare today. This 'O' gauge 3-rail system operated on 12 to 20 volts AC and consisted of a 2-axle steam loco, 2-axle electric loco resembling a German E 69, 4-axle passenger coaches with 2 doors that opened, various freight cars, as well as rails, turnouts, and crossings. Clockwork versions of these locos were also made. Collectors have acknowledged very high quality of the locos and rolling stock comparable to the M�rklin products. However, the cars were painted in non-prototypical colors because their schemes were dependent on the paints available at the factory. Plans to introduce new locos, mostly electrics, were not realized due to World War II when the factory was converted to the manufacture of military products. After the war the Press factory did not restart production of model trains. All pictures, drawings, and product samples of these trains that were stored at the factory were lost. By the end of the 1960's Piko captured the Soviet market. Eastern Germany became the largest supplier of toys and hobby products to the USSR. The products made by East German state-owned companies were part of the GDR�s payments to the USSR for the minerals, heavy machinery and products they obtained from the USSR. The quality of the Piko products was better than the Moskobel trains, and Piko offered a wider range of gauges, locos and rolling stock, at much lower prices. From 1982 to 1991 the Schetmash factory in Kursk produced HO scale train sets. These sets consisted of an Ov Russian steam locomotive, two 2-axle passenger coaches, a controller and 14 pieces of track. The DC powered set was designed to complement equipment produced by Piko. The prototype of the loco was a famous Russian Ov steam loco originally built in 1890. The coaches were also based on real prototypes. The look of these items was very good. Included were complete running gear, handrails, detachable parts, and detailed lettering. In addition to a version with a coal tender, a later steam loco was produced with wood-fired, oil-fired and four-axle coal tenders, however the road numbers remained the same. Various locos were available separately. The overall quality of these trains was not very good however. The electric motor was placed in the loco's tender and required greater amperage but put out low torque and was very noisy. The transmission required constant greasing and was unstable in curves. The track was copied from Piko products but of lesser quality. Because the manufacturer failed to provide acceptable quality during production, a great amount of products were marked as flawed and rejected. Nevertheless, Ov sets were very popular in the USSR and were even exported to Germany. Production ceased upon the USSR�s collapse in 1991. The Moskobel trains from the 1950's and 60's are coveted by collectors, especially in the United States, where these trains are very hard to find. When they do show up at train meets, or in on-line auctions, they normally sell in the $3,000 to $5,000 range for a complete set in high quality. The Stalin-era sets are harder to find since the Soviet government under Nikita Khrushchev purged all reminders of the Stalin personality cult. Khrushchev sets are also difficult to locate as not as many were produced. The Pioneer Railway page from the website of the Train Shop Parovoziki.ru in St. Petersburg, Russia. "Stalin's Model Trains" article by John M. Cardwell appearing in Vol 44, Issue 1 of The Train Collectors Quarterly, January, 1998. "The Russians Are Coming" article by Richard B. Clement appearing in Vol 22, Issue 1 of the Train Collectors Quarterly, winter 1975.